The Arabian Horse Foundation, the philanthropic arm of the Arabian Horse Association, has announced that a portion of sales from the ABlackHorse online store will be directed to equine rescue and rehoming needs within the Foundation. 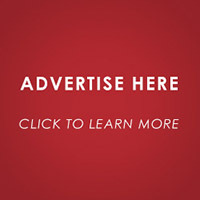 People wishing to take advantage of this opportunity can go to www.ablackhorse.com, browse the many store categories, and when checking out enter the coupon code ‘horserescue’. ABlackHorse will direct three percent from these transactions to rescue and rehoming. 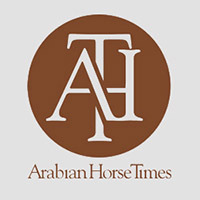 “This is the first business to step forward with an incentive to make a purchase and at the same time help the Arabian Horse Foundation,” stated Larry Kinneer, Foundation president. “We appreciate the generosity of ABlackHorse and hope that others will follow the lead on this. Every donation helps.” The Arabian Horse Foundation has three areas of focus for funding: scholarships for youth; equine rescue and rehoming, and equine research. Those making contributions can direct their gift to which area they want to support. The option to make a donation is now available on the hard-copy AHA membership application form. Also, for members joining or renewing their AHA memberships online, there is a donation check-off box on the online application. The Foundation has an advisory panel for research and one for rescue. In other Foundation rescue efforts, beginning with the 2010 funding cycle, there will be rescue funds set aside for emergency needs which arise occasionally. “This will enable us to be more responsive in situations where there is an immediate need to help in a horse rescue situation,” Kinneer said. “This new emphasis on emergency situations will allow the Foundation to be more flexible and quicker to respond.” Each situation will be assessed as to need, just as in all requests to the foundation, he added. In the two years since the Foundation was re-launched, the nonprofit agency has granted over $60,000 to youth for scholarships, rescue and rehoming programs, and equine research. “The Foundation has granted funding dollars for research into Lavender Foal Syndrome and Cerebellar Abiotrophy with great strides being made at UC Davis and at Cornell University,” Kinneer said. 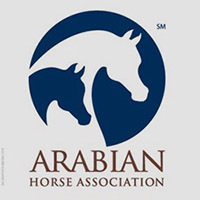 Contributions, which are tax deductible, can be made by sending a check made out to the Arabian Horse Foundation and sending it to the Foundation Treasurer, Jim Cada, 1024 K St., Lincoln, Neb., 68508. Indicate the area you prefer your gift to go toward. It is also possible to make an online donation via PayPal by going to the web site: www.arabianhorsefoundation.org.